We almost bought a new house last week. We were driving around a couple of weekends ago looking at houses and property when we found this great house. We drive around just about every weekend, partly because we are interested in buying a new home but mostly because the kids are easier to manage when they're strapped into the back of the car. My life would be a whole lot easier if I could strap my children to the couch all afternoon, not to mention, the risk of a head-on-collision is severely lessened in the living room. Anyway, we found this house for sale on a small lake in Odessa. Now, let me be clear about this: We have a mental list of all of the things that we definitely want in our next house. The house we almost bought did not have any of these things. The children's bedrooms were not on the ground floor. The guest room was not on the ground floor. The kitchen was not part of the family room. The master bathroom was small. The master bedroom was small. The house itself had less square footage and we would like. There were no live swans in the fountain. The wine cellar only held 200 bottles... Etc. etc. And yet, despite all these things, we decided to buy the house. Why? Because it just felt like home. It took us a week to get an appraisal because there are no other houses like it in the area that have sold in the last few months. Eventually, the appraisal came back and it was lower than the appraisal the seller had done just a few months ago. If the seller would have agreed to sell at the appraisal price we would have gotten a bargain over what we were prepared to pay originally. He might have sold at that price, I don't really know, as I decided not to buy the house. It's a rare occasion when I put my foot down about something as far as the family is concerned. Our family is very much run by committee except that Bobbi's opinion counts a little bit more than mine most of the time. It's not that she's more important, it's just that I have reached the point in my life where I would just as soon "go along and get along." Also, she's more important. Despite this turn of events, I put the kibosh on the deal myself. Several things that happened in the last week sent up red flags: First off, the appraisal on the house we want to buy went down instead of up in just a three-month period. Second, the entire housing market has been in decline. Third, I've noticed there are a lot more homes for sale in my neighborhood... and it doesn't look like anyone is closing a deal. Fourth, I've had several neighbors tell me stories of friends trying to sell their homes to no avail. Fifth, my horoscope this week said, "More money in the bank means more hookers and malt liquor." Sometimes your gut just can't be ignored. The closer we got to buying this house the more my gut seemed to scream it was a bad idea. So, despite this house being wonderful, I decided we would stay a little bit longer in this little shoebox that we call home. I'm convinced that no one is going to make any money on their house this year and so there is no harm in waiting since home values will not be increasing. I have said many times that I would love to see the housing market collapse to the point where I actually lose money on my home. I live in a cheap house. I would gladly give up 20% of my home's value to save 20% on my next home since my next home will be much more expensive than my current one. Sidenote: Sometimes I like to search on realtor.com just to see how the other half lives. 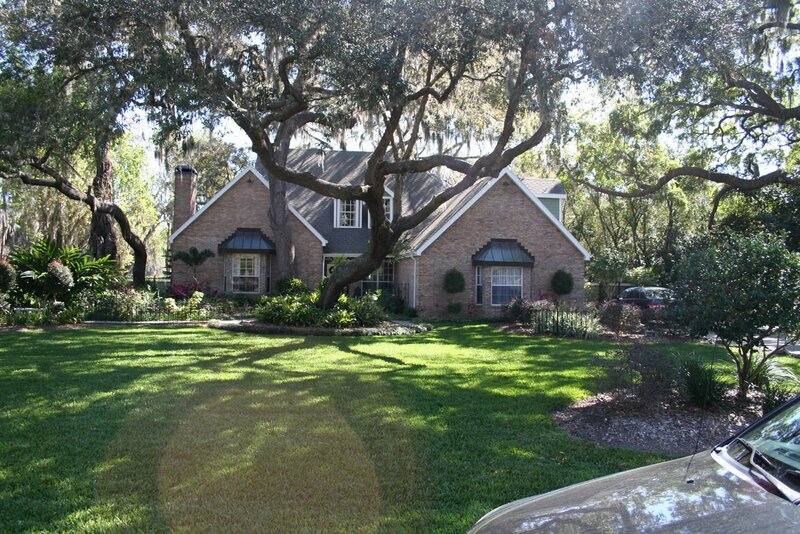 It's fun to look at the multimillion dollar homes for sale in Tampa and St. Petersburg. Last night I decided to look up the expensive homes for sale in my old hometown of Monroe Louisiana. Would you like to know what $900,000 will buy you in Tampa, Florida? It will get you about 3500 sq. ft on a piece of property in a subdivision with about 15 ft between you and your next-door neighbors. By contrast, in Monroe, the most expensive home listed for sale on realtor.com was $875,000. It is 8700 sq. ft. On 40 acres. Perhaps you could take some of the money saved and rediscover the joys of truly fresh mudbugs. Forty acres holds a lot of mudbugs.